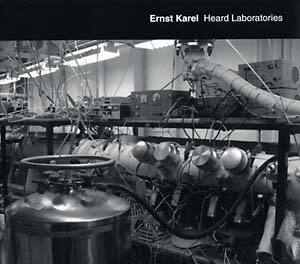 "Heard Laboratories is a sonic ethnography of scientific research environments at Harvard University. The sounds of equipment, devices, and activities draw attention to the physical processes underlying scientific research, the work underway which provides a ground for our highly technologized society. In the name of human progress, enormous resources are devoted to and consumed by such activities, which are both hidden and taken for granted. Heard Laboratories brings this background to the fore. Heard Laboratories is a largely abstract soundscape, consisting of edited sequences of unprocessed location recordings. The liner notes list edit points, along with descriptions of the research each laboratory is engaged in, so that the listener may follow along and know what kind of laboratory they are hearing at any given moment. The work does not take a position with respect to what is documented, and neither endorses nor criticizes the research programs of the laboratories which granted access."